4,000 SF restaurant endcap in HyVee shopping center. Restaurant equipment in place. Zoned C-3, located in Maryville's south shopping district. 13' ceiling. Additional tenants in building include Dollar General, Advance America and Euphoria Nail. Some tenant restrictions apply. Additional tenants in shopping center include HyVee, Sprint, AT&T, Taco Bell and Nodaway Valley Bank. Access to shopping center from both Main St & South Ave. Intersection at South and Main is signalized. 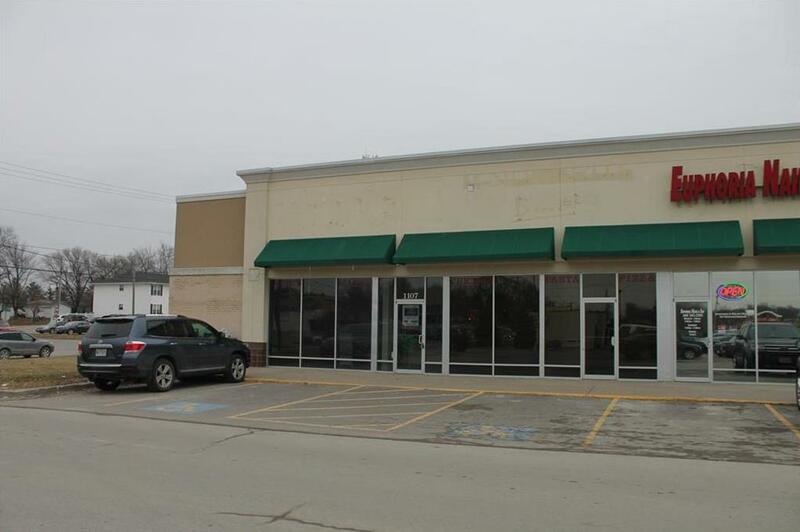 10,000 VPD on Bus 71/Main St.
1107 S Main Street (MLS #2144519) is a commercial listing located in Maryville, MO. This property was listed on 01/15/2019 and has been priced for sale at $0.